John Bogle on Investing is a compilation of the best speeches ever delivered by one of the 20th century's towering financial giants. 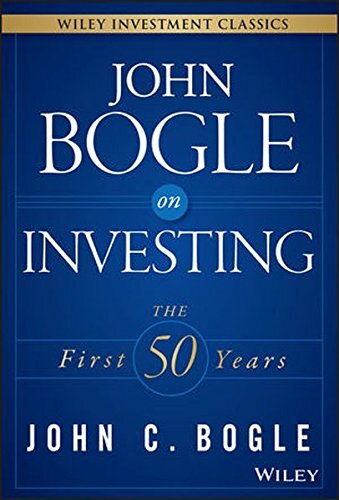 Individually, each of these speeches delivers a powerful lesson in investing; taken together, Bogle's lifelong themes ring loud and clear. His investing philosophy has remained more or less constant throughout his illustrious career, and this book lays it out so you can learn from the very best. You'll learn what makes a successful investment strategy, consider the productive economics of long-term investing, and how emotional investment in financial markets is often counterproductive enough to forfeit success. Bogle discusses the "fiscal drag" of investing, and shows you how to cut down on sales charges, management fees, turnover costs, and opportunity costs, as he unravels a lifetime's worth of expertise to give you deep insight into the mind of a master at work. John C. Bogle founded Vanguard in 1974, then in the space of a few years, introduced the index mutual fund, pioneered the no-load mutual fund, and redefined bond fund management. This book wraps up the essence of his half-century of knowledge to deepen your understanding and enhance your investment success. John Bogle is still in there fighting, still pushing the industry onward and upward. Take this rare opportunity to have industry-shaping expertise at your fingertips with John Bogle on Investing.